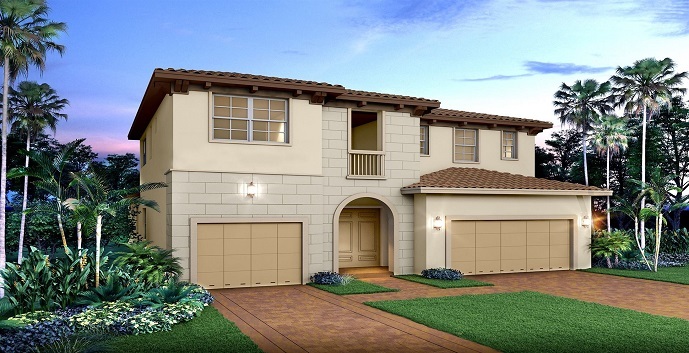 Lennar’s newest addition to the western area of Lake Worth is Andalucia, a master planned community featuring a total of 240 stunning townhome and single family home sites. Located near the intersection of Lake Worth Rd and Lyons Rd, this community offers the most central location in Palm Beach County. Andalucia’s Vineyard Collection features single family homes ranging in size from 2000 square feet to just over 3000 square feet with both one and two story options available- anywhere from 3 to 5 bedrooms and 2 to 4 bathrooms, there is something that everyone will love. This gated community also features amazing amenities like resort style pool, tot-lot, several neighborhood parks and quiet green spaces. Andalucia offers the option for Lennar’s Home Intelligence System which will provide the homeowner with pre-wiring options for Amazon’s Alexa and other features. 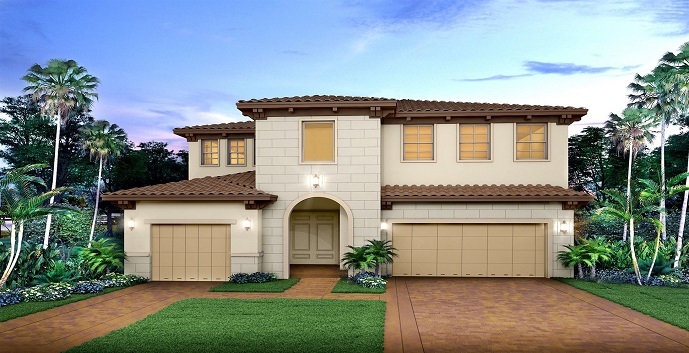 Andalucia Homes - Vineyard Collection by Cal Atlantic offers 5 models to chose from. 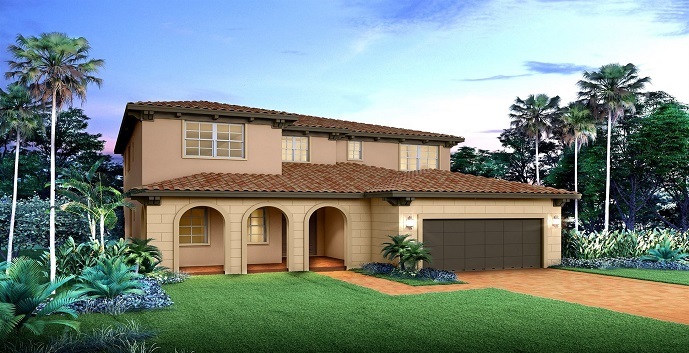 Aragon - 1 story homes with 3 bedrooms, 2 bathrooms, great room, breakfast area, covered lanai and 3 car garage. 2,001 square feet. Catalonia - 2 story homes with 3 bedrooms, 2 bathrooms, great room, breakfast area, covered lanai, flex room and 2 car garage. 2,254 square feet. 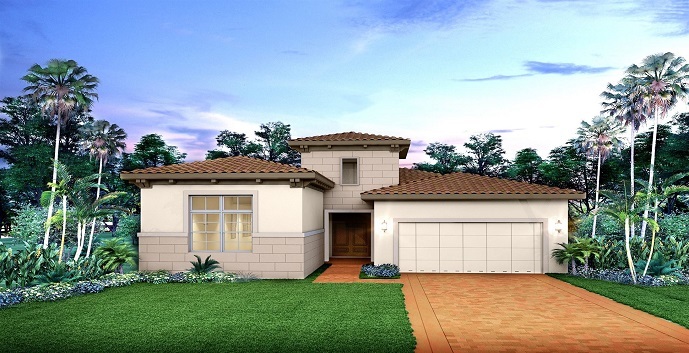 Chablis- 2 story homes with 3 bedrooms, 2 bathrooms, great room, breakfast area, covered lanai, flex room and 3 car garage. 2,448 square feet. Rioja - 2 story homes with 4 bedrooms, 3 bathrooms, breakfast/dining room, great room, covered lanai, 2 car garage and bonus room. 2,745 square feet. Sangria - 2 story homes with 5 bedrooms, 4 bathrooms, great room, dining room, breakfast area, covered lanai, flex room and 3 car garage. 3,032 square feet.